Have you ever wondered what advertising or marketing strategy is delivering the best return on investment for your company? Have you questioned whether your expensive yellow page print ads are worth the money or whether you should invest in a managed PPC campaign? Are you asking your prospective customers how they found you when they call? Don’t just count visits to your site when you can be tracking bounce rates, conversion rates and where your visitors are coming from both online and geographically. 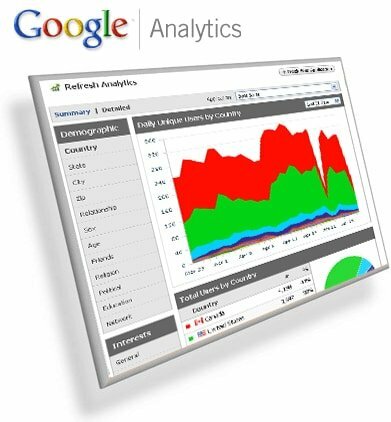 Through our in-depth knowledge of analytics we will help you accurately track the performance of your website and provide you with reports that show which strategies are working and the ones that should be changed or eliminated. We can get your business more leads from your website by redesigning the layout for better conversion rates. Our optimization campaigns will make your website more visible on search engines like Google, Yahoo and Bing – resulting in more qualified visitors, leads and sales. Get Analytics Support Today! Call us at 954-916-9800 or Click to Contact Us Today for your FREE consultation.